"And 100GB of GoogleDrive for two years? After that you're stuck paying Google just to keep your stuff." "When you cancel your storage plan or when your storage plan expires, your storage limits will be set back to the free levels for each product at the end of your billing cycle. Everything in Google Drive, Picasa and Gmail will still be accessible, but you won't be able to create or add anything new over the free storage limit." My first thought was, "Wow, Intel must be practically giving away the chips here to try to kill the first ARM laptop." My second thought was that my first thought was a ridiculous conspiracy theory and it's just your basic cheap netbook, combined with Google's free OS and love of low hardware margins. 32GB SSD (Crucial V4): ~$50. Hell, it's $55 for a 64GB SSD! Now Acer does not pay the same you or I do for hard drives, but only if the SSD is much more likely to lead to returns does that make any sense, and it should be the opposite (rotational drives more likely to fail). 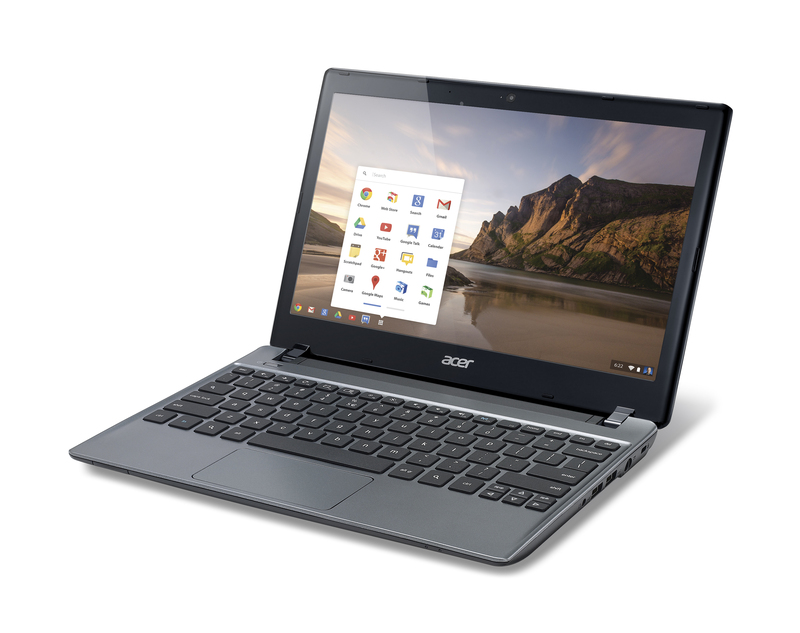 The Acer Chromebook is confirmed to have a 320 GB HDD, alleviating the "no storage" issue.